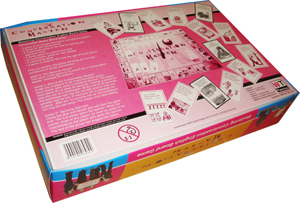 It’s a “Monopoly” kind of board game but much simpler than that. 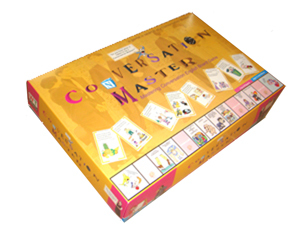 The name of the game is to search for a ‘conversation master’ amongst the players. 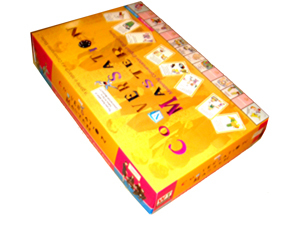 Invite 3 to 8 players to sit round the board game. Each player talks when it comes to his turn. 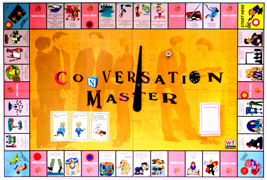 The player must speak for at least 30 seconds. Choose a person to play the role of a timekeeper. At the end of 30 seconds, the timekeeper will ring the call bell once to warn the speaker that he has 10 seconds left to complete his speech. After the 10 seconds are up, the timekeeper will ring the bell twice. The player must stop talking. 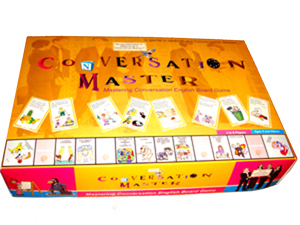 This board game helps everyone including professionals to prepare for impromptu interviews. It helps to develop interesting characters and charisma. 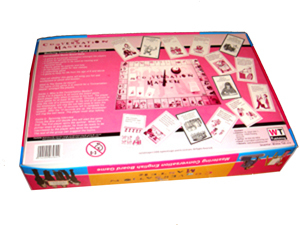 The players will learn to respond spontaneously to impromptu situations. ** A complement product of the book “Mastering Spoken English & Communication Skills” - by Winnie Toh and for training purposes. How should the game be introduced? A must-keep game in every household! ©2008 WT Publishing. All Rights Reserved.